Running is hard. Can I get an amen? I mean, even prior to finding an interest in running, running was hard. Now that I dedicated time towards a running streak, it is still hard. But, spoiler alert! I failed at my running streak. I know, I know! Shame on me. However, I successfully completed 75 days and then couldn't muster up the strength to run through an ankle injury. It never really is a good idea to try and push through an injury because it will likely lead to more injuries. I have shared with you what I learned while running 20 days straight. I have also shared the seven ways I knew I was addicted to running - even though it's hard. And lastly, I shared why runners should not eat whatever they want - even though they want to. Now today, I have another really fun, but important post for you about how to eat healthy while being a runner. Click to tweet: Five tips for healthy eating while running. This all goes back to runners should not eat whatever they want, right? 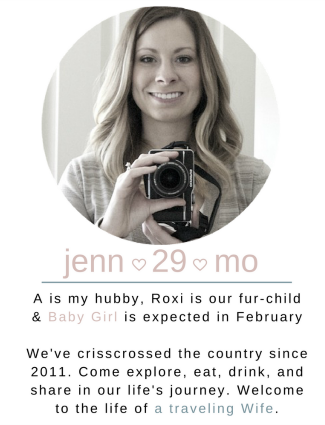 We run x amount of miles each week or month and get cravings for nearly any and every thing. Even if you are not a runner, I am sure most of these tips will be beneficial to you, plus there is a sneaky recipe included in this post. Shop the perimeter of the grocery store. 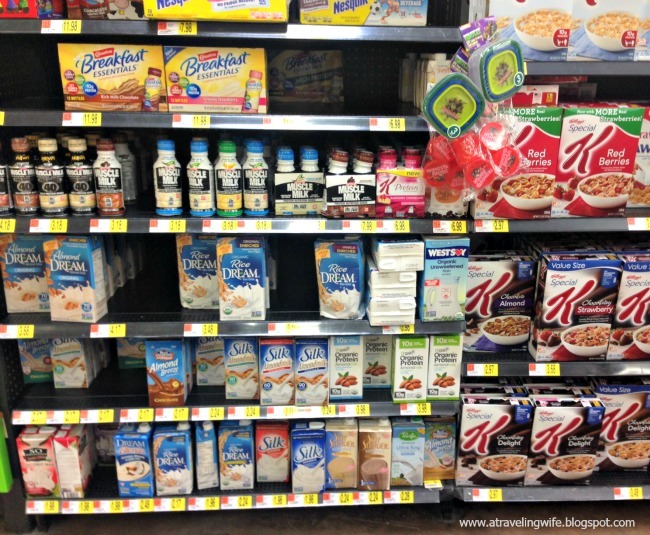 Did you know that a majority of processed foods can be found in the center aisles of a grocery store? I find it best to stick to the large circle around the store. This is where I can find my produce, meat, dairy, etc. These types of foods provide essential nutrients that are needed for everyone, especially runners. Also, if your house is stocked with healthier options, you will have no choice but to reach for those when cravings strike. All things in moderation. I do not think it is a good idea to have a 'treat' meal for working out, but I do agree that you should never deny yourself simple life pleasures. With the holidays coming up, allow yourself a few sweets here or there, but don't make a game out of it. You should be treating your body with an epsom salt bath to aide those sore muscles from running rather than that huge chocolate cake. Protein. As a runner, I have been guilty of eating tons of carbs and forget about protein. Protein is so essential for energy and can help repair damage from training. The hardest part for me was to find alternatives to traditional protein because one can only eat so much chicken. Am I right?! I have found that the Orgain Organic Protein Almond Milk® helps tremendously with versatility. I can put it in my cereal, coffee, baking items, chia pudding (recipe below), or mix it with my whey protein powder. The most impressive part is that it contains 10 times the amount of protein compared to leading almond milk brands - more protein to help us runners. Don't eat the same foods every day. I know a lot of people that are training for something specific tend to stick to a strict diet - only eating the same foods everyday because they know it gives the results they are looking for. I will bet those same people eating a strict diet are missing some vital nutrients that they would get if they ate a variety of food. Not only will you be able to achieve these nutrients, you might be able to cut back on cravings for not so healthy options. I like to think of it as eating the rainbow. Eat multiple small meals throughout the day rather than three large meals. Have you heard that runners are hungry ALL THE TIME. It's true, especially if they are eating only three meals a day. It's important to eat smaller meals more often to keep energy levels up and help stabilize glucose levels. Runners and non-runners alike, I don't know anyone that doesn't want to eat food all day long. One of my favorite ways to get a quick, protein-filled snack is to eat chia pudding. I think it fits into each of the five tips I provided above - most of the ingredients are from the perimeter of the grocery store, you can customize the sweetness, flavorings, and ingredients each time, and it is chock-full of protein. Check out two simple recipes below. 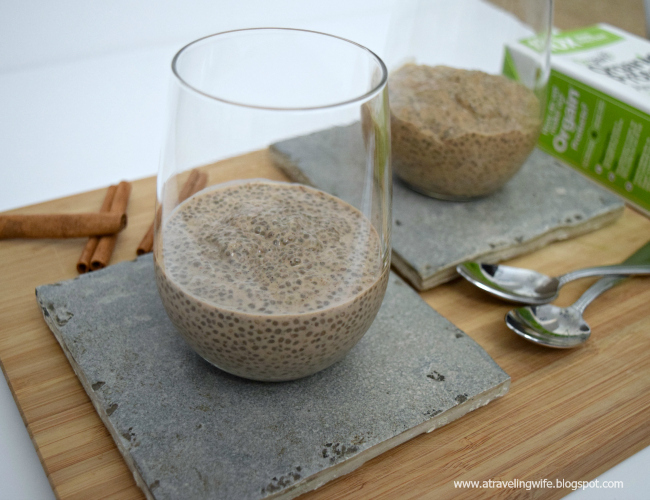 Click to tweet: Yum >> Chai Chia Pudding and Pumpkin Chia Pudding. If you head to Walmart between 9/21 and 10/24, here's a $1.50 off offer to use on any (1) container of Orgain Organic Protein Almond Milk®. Have you tried chia pudding before? What's your favorite tips for eating healthy? Are you training for anything fun? 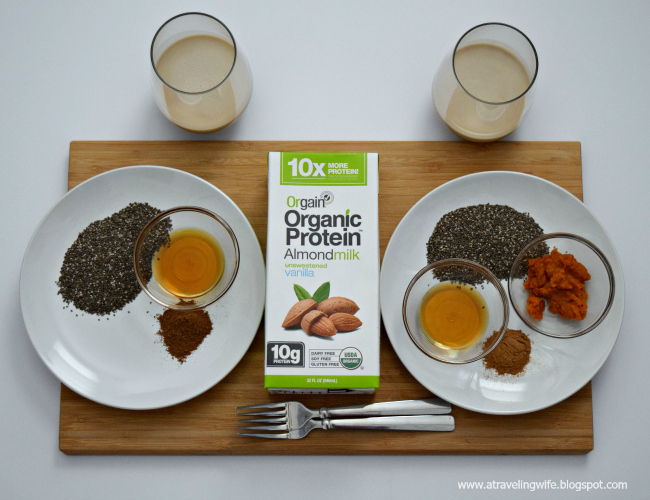 Have you ever tried Orgain Organic Protein Almond Milk®? Awesome, thanks! You can add nearly any flavor combination - apples, cinnamon, chocolate, peanut butter, and the list goes on and on. 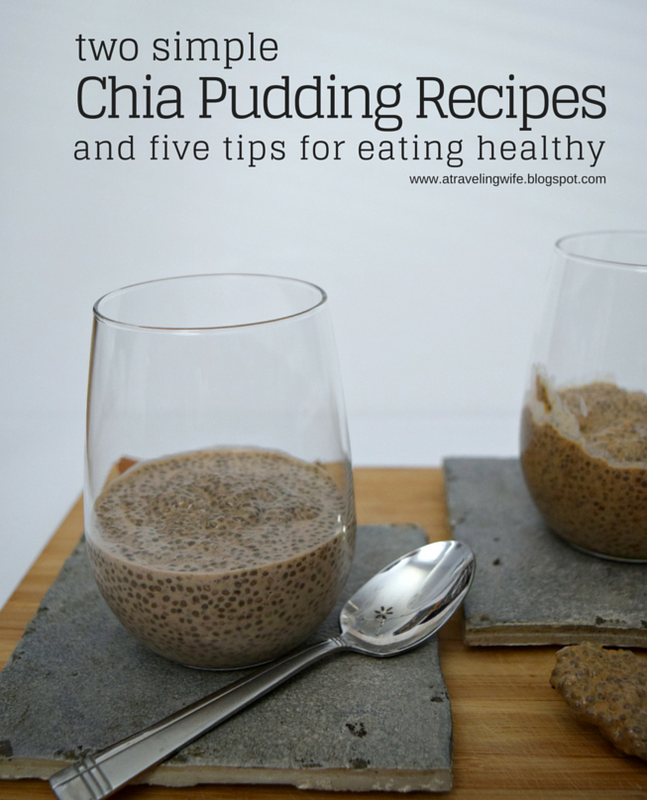 I really love the tips, and the Chai Chia Pudding looks delicious! I love Chia seeds. The perimeter of the grocery store is the BEST! Even Trader Joe's! 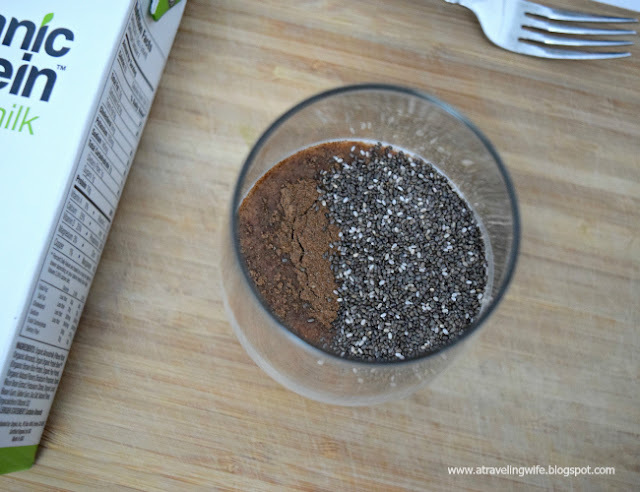 Thank you - chia seeds have really grown on me. Isn't the perimeter the best place to be in the grocery store?! Plus there is usually a ton more space to move around rather than being trapped in the aisle. I use chia eggs in baking a lot but I can't get over the texture in chia pudding unfortunately. I do throw them in smoothies though!